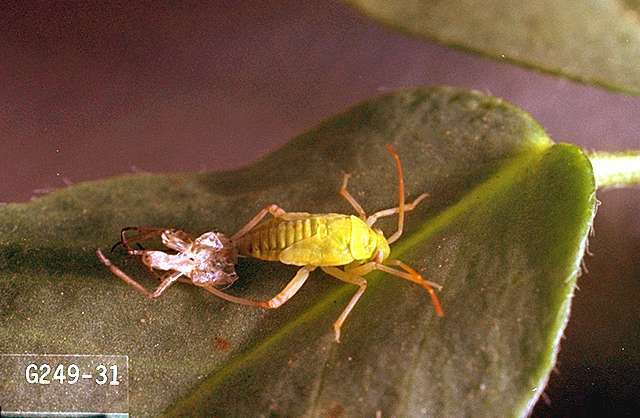 Pest description and crop damage Adults are 0.2 inch long with a light yellow V on the back. 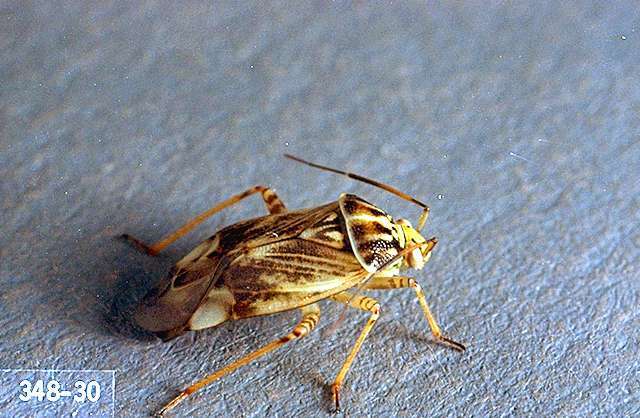 Lygus bugs pierce and damage meristematic tissue causing blasted buds, blossom drop, and shriveled seed. 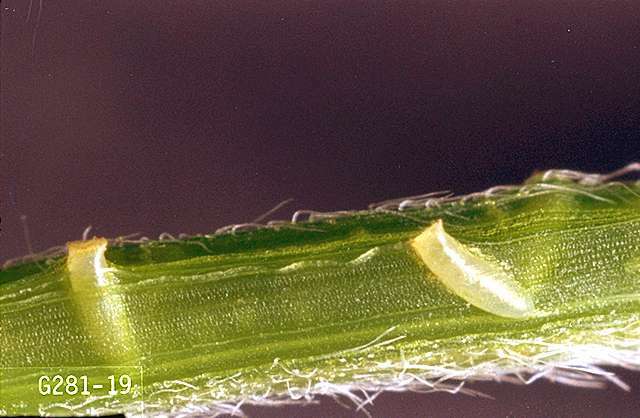 Lygus bugs reduce yields of alsike and Ladino clover seed but are not considered a pest of red clover. Clover seed weevil treatments usually control lygus on white clover. bifenthrin (Bifenture EC, Brigade 2EC, Discipline 2EC, Fanfare 2EC, Fanfare ES, Tundra EC) at 0.06 to 0.1 lb ai/a. REI 12 hr. Do not apply to blooming crop or allow to drift while bees are actively visiting bloom. Do not make more than 3 applications per crop year. Allow at least 21 days between treatments. Do not graze clover after application. Do not cut treated clover for hay or forage. Do not use harvested seed for sprouting. No part of the treated field, including seed, seed screenings, hay, forage, or stubble, may be used for human or animal feed. Processed seed must be labeled. 24c SLN: OR-960021, OR-040039, OR-070013, OR-170012, ID-080011, ID-900006, ID-040009, ID-070009, ID-060023, ID-130004, WA-040027, WA-070015. chlorpyrifos (Lorsban Advanced) at 1.0 lb ai/a. REI 24 hr. This product is highly toxic to bees. Do not apply when any clover bloom is present. Do not make more than one application per crop year. Do not graze clover after application. Do not cut treated clover for hay or forage. Do not use harvested seed for sprouting. No part of the treated field, including seed, seed screenings, hay, forage, or stubble, may be used for human or animal feed. Processed seed must be labeled. 24c SLN: OR-940031. Oregon only. malathion at 1 to 1.25 lb ai/a. Apply to plants in bloom only in evening or early morning, when bees are not working in the field or hanging on the outside of the hives. oxydemeton-methyl (MSR Spray Concentrate) at 0.375 to 0.5 lb ai/a. PHI 21 days. REI 15 days. Chaff from seed crop may be used for feed or forage, but do not cut green crop for these purposes. Do not apply more than two times per crop cycle. Wait a minimum of 14 days between applications. Apply by air, chemigation or groundboom.